Fill a large saucepan halfway with oil and place over medium heat until the temperature reaches 180°C (350°F) on a deep-frying thermometer. Place the tahini, lemon juice, flour, cornflour and water in a bowl and whisk to combine. 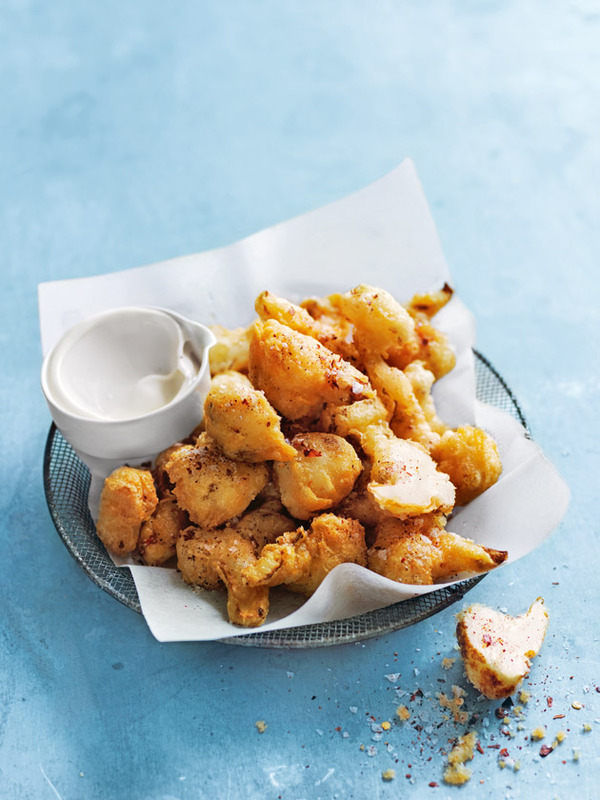 Working in batches, dip the cauliflower into the batter and cook for 2–3 minutes or until golden brown. Remove with a slotted spoon. Repeat with remaining cauliflower. If you’re a big fan of spice, you can add extra chilli flakes to the mayonnaise, too.